See all available topics on the green tabs at the left. 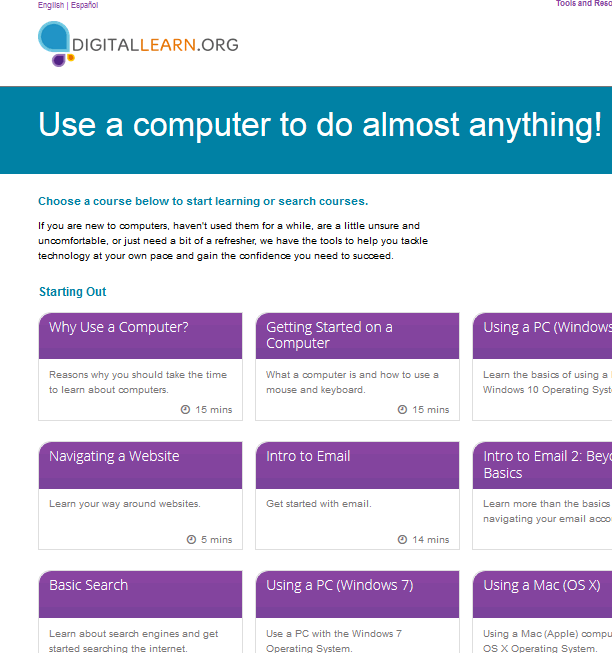 Click through to see courses from digital learning platforms. All tiles will open in a new browser tab directly on the learning platform. 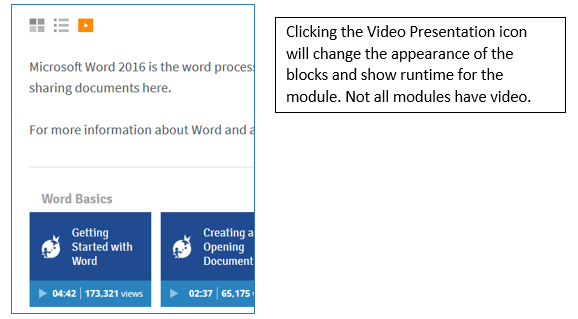 Blue tiles with image of laptop computer are longer courses with several modules. Orange tiles are "Quick Courses" that typically cover only one task and take about 5 to 10 minutes to complete. Within each of these platforms, a user may create a username and password to track progress, create certificates of completion, and find related courses. Courses in this guide are intended to cover the basics of digital literacy. 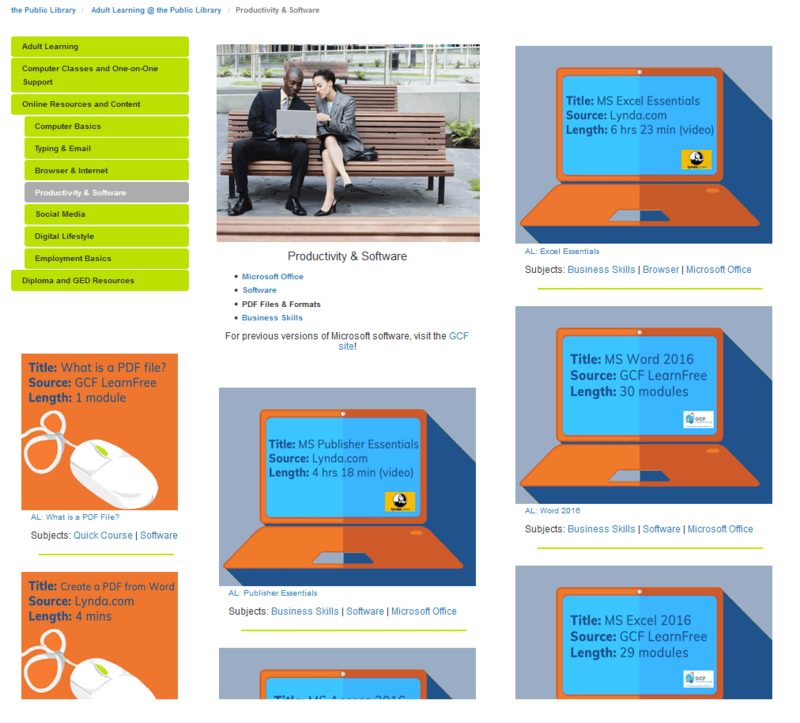 Many users will find additional relevant courses on the platforms and are free to browse. 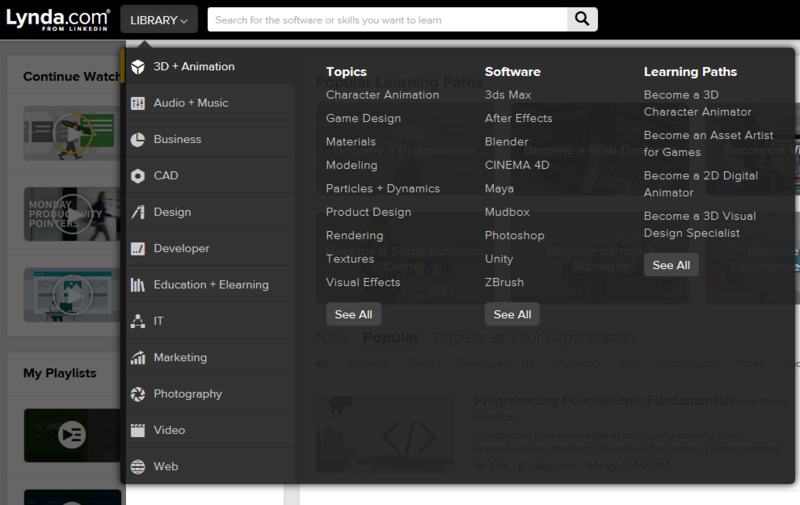 Browse and search for Learning Paths, individual courses, and by profession or software. Resources for Public Library customers beginning with computers, using them for job searching or other professional tasks, as well as staying safe online. Browse through the subjects menu on the webpage. Video available for most modules. Un espacio educativo que promueve la educación y oportunidades para enriquecer la calidad de vida. Presentando por GCF Community Foundation International.